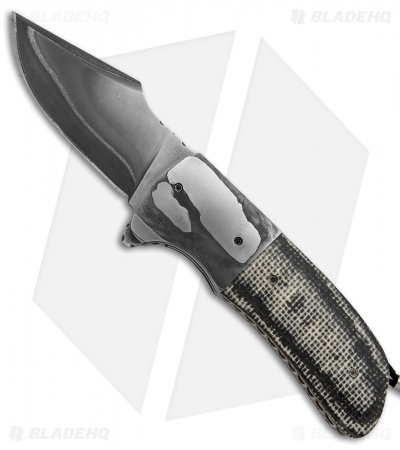 This Harpoon folding knife has a 416/52100 San Mai damacus steel blade with a flipper opener. 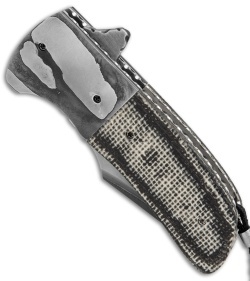 The handle features 5 Layer Random damascus bolsters and black/white burlap micarta scales over titanium liners. 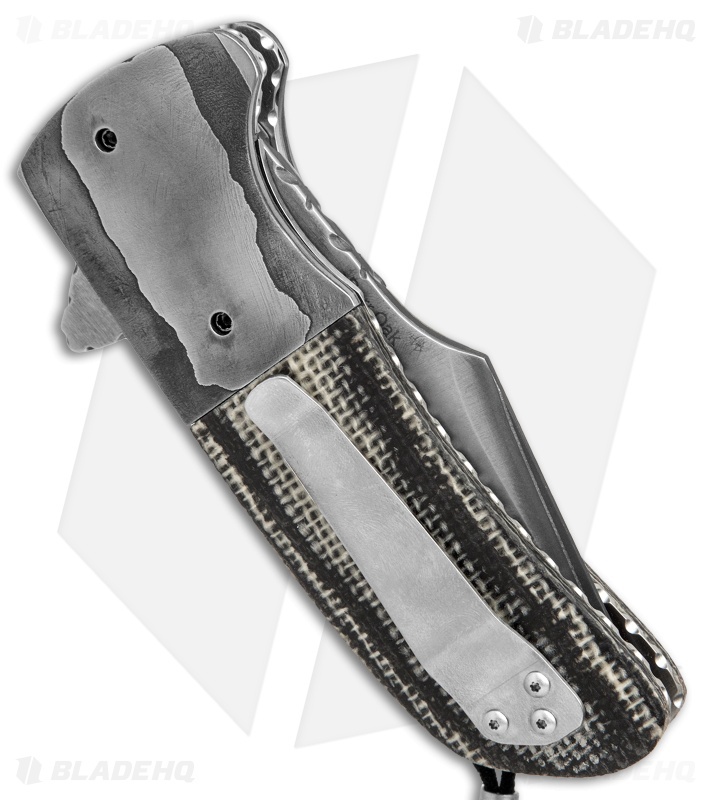 The steel back spacer is filed, along with the liners, flipper and blade spine. This knife includes a signed certificate of authenticity, dated 7/23/16.